Whole chicken -- 2 lb , cut into chunks. Clean and marinate the chicken pieces with gg paste, salt, turmeric powder , red chilli powder for 30 minutes. Roast the ingredients given in the seperate table one by one until the pepper crackles and the onion turns glossy and grind to a fine paste . Keep it seperately. grind the coconut mixture as well. Heat the kadai with the sesame oil and do the tempering with fennel seeds, dry red chillies, curry leaves and the whole spices. Dump in the 1/3 cup of chopped shallots and scald well in the oil until turns translucent. Now dump in the marinated chicken pieces and mix well in the oil ,until the chicken gets half cooked. Add the coriander powder as well and combine well. Throw in the ground onion paste and cook over medium low heat for 5 minutes stirring every now and then. Pour in the tamarind pulp and mix well with the masala. U may add a cup of water and bring the kulambu to a boil. Finally add the coconut paste and mix well. Keep the kulambu in the dum for 5 to 10 minutes or until the oil starts oozing out.. Garnish with coriander leaves and serve with rice, roti , idli/ dosa. Adding tamarind is upto one's choice. I like my kulambu to be bit tangy. Poppy seeds is also optional, If it's not available ,add cashews for the curry to be rich and thick. whenever we used to visit our village...they specially prepared it for us!...memories....very good one! drool worthy chicken kuzhambu.love the texture. Naatu kozhi kulambu looks delicious. so delicious and very inviting curry !! Loved the texture !! Shanavi, the nadan chicken curry looks like a classic one dear..Loved the clicks a lot! Delicious looking chicken curry dear. Looks so tempting. Slurp! Reminds me of my old town days...Looks hot and spicy! My grandma do the similar kuzhambu,havent had since a long, very catchy and tempting clicks.. Very tempting!!! I love these homely recipes...Will adding egg instead of chi taste good too?? 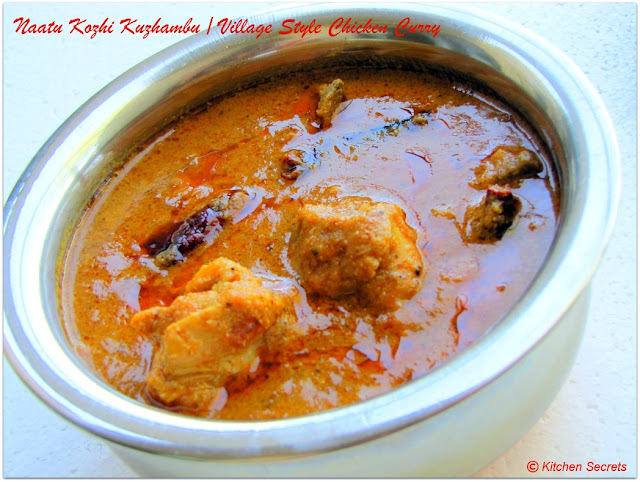 Makes me drool,spicy and tempting chicken curry. CHicken curry looks delicious and drool worthy! 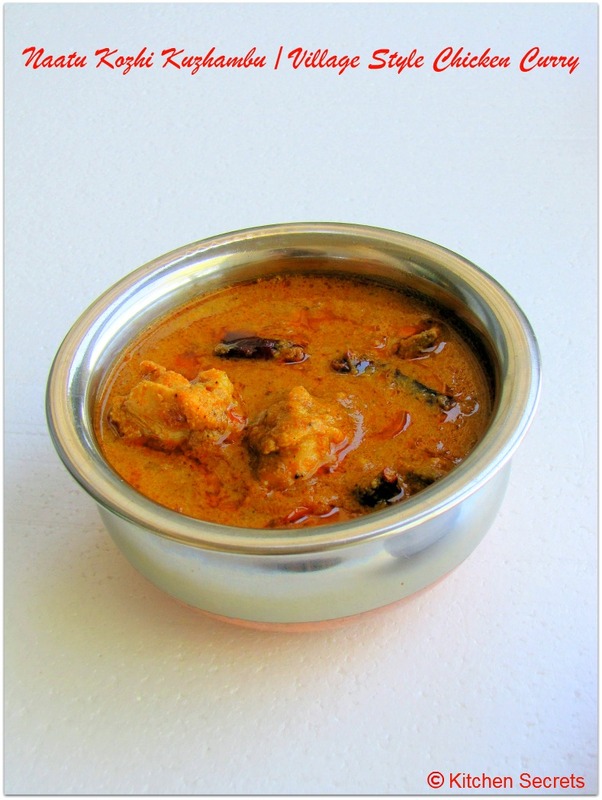 chicken curry looks delicious and bookmarked it.